A brand new credit card option just hit the market, and it could help to do just that! Citi and American Airlines have teamed up to offer consumers the American Airlines AAdvantage MileUp℠ Card, a no-annual-fee credit card that turns everyday spending into exciting travel opportunities with two miles earned on every $1 spent at the grocery store, on grocery delivery services and on qualifying American Airlines purchases. You’ll also earn one mile per $1 on everything else. Plus, new card members are eligible for 10,000 AAdvantage® bonus miles and a $50 statement credit, both earned after making just $500 in purchases within the first three months of opening an account. Grocery purchases are something most of us make regularly, so this card is a great option for anyone looking to save toward their next vacation, without any extra work at all. 10,000 AAdvantage® bonus miles and a $50 statement credit after you spend $500 on your new card within the first three months. 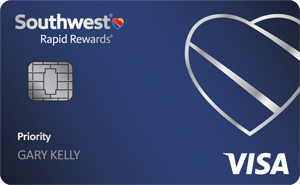 Jump start your rewards earning with 10,000 bonus miles (and a $50 statement credit) after you spend just $500 in the first three months on your new card. Snag two miles per $1 spent on all your grocery store and grocery delivery service purchases, a rare earning rate for an airline rewards card. Save money with 25 percent savings on your American Airlines in-flight food and beverage purchases when you pay with your card. Paying no annual fee is nice, but it wouldn't take much to offset the annual fee of the Citi® / AAdvantage® Platinum Select® World Elite™ Mastercard® (Citi is a CardRatings.com advertiser), which offers better perks and allows you to earn double miles at gas stations, restaurants and eligible American Airlines purchases. 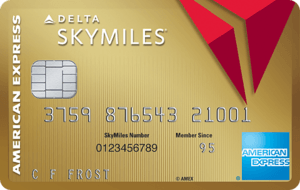 Though the welcome bonus for this card isn't huge, 10,000 miles plus a $50 statement credit is still a solid offer, especially considering that the spending threshold is so low. Many people spend $500 in just one month on grocery purchases alone, so the fact that you can earn two miles for every $1 spent at the supermarket, all while working towards this bonus is a great incentive. That's another thing that's great about this card – since groceries are an essential purchase, unlike say restaurant or vacation purchases, when grocery shopping with the American Airlines AAdvantage MileUp℠ Card you'll automatically earn miles for purchases you'd be making regardless, which really makes saving up for your next getaway a breeze. To put things into perspective, if your plans are flexible, American Airlines MileSAAver tickets are available for as low as 7,500 miles each way for flights of less than 500 miles within the United States and Canada, so after just a few months of using your card, you could easily have enough miles to embark on your next getaway. Two miles for grocery and American Airlines purchases is, of course, solid earning if you frequently use your credit card for these things, but if don't often fly American Airlines, or you're looking for a card that could quickly earn you miles on purchases outside of these categories, the American Airlines AAdvantage MileUp℠ Card might not be the best choice for you. Another important thing to note is that the American Airlines AAdvantage MileUp℠ Card charges a 3 percent foreign transaction fee for every purchase made outside of the United States, which means this card isn’t ideal for frequent international travelers. The Citi® / AAdvantage® Platinum Select® World Elite™ Mastercard® is a great choice for those who love the structure of the American Airlines AAdvantage MileUp℠ Card, but who are looking for a few more benefits. For a limited time with the Citi® / AAdvantage® Platinum Select® World Elite™ Mastercard®, new cardholders can earn 60,000 American Airlines AAdvantage® bonus miles after spending $3,000 on their new card within the first three months. Additionally, earn two AAdvantage® miles for every $1 spent at gas stations, restaurants and on eligible American Airlines purchases. * This card may be an excellent choice if you frequently use it to fill up at the gas pump on the way to your favorite restaurant. 25 percent savings on inflight food and beverage purchases when you use your card on American Airlines flights. While it's true that the Citi® / AAdvantage® Platinum Select® World Elite™ Mastercard® does include a few more tempting benefits than the American Airlines AAdvantage MileUp℠ Card, as with most good things, it comes with a price. Whereas American Airlines AAdvantage MileUp℠ Card cardholders can use their card with no annual fee to worry about, the Citi® / AAdvantage® Platinum Select® World Elite™ Mastercard® charges an annual fee of $99, waived for first 12 months*. If it comes down to deciding between these two cards, the biggest questions you'll need to ask yourself are 1) Are you realistically able to meet the spending threshold within three months to earn the new member bonus, and 2) Will you use your card enough to offset the cost of the annual fee? If your answers are no, rest assured that the American Airlines AAdvantage MileUp℠ Card is a solid option to fall back on. Though the no-annual-fee Discover it® Miles credit card doesn't offer a traditional bonus initially when opening an account, it does MATCH all the miles you've earned at the end of your first year. With an earning rate of 1.5 miles on every $1 spent, there's some serious earning potential to be had that first year of card membership. Thanks to this match, new cardholders of Discover it® Miles effectively earn three miles for every $1 spent with the card during your first year. While choosing a card based strictly on an introductory offer is rarely the best idea, the good news is that after your first year, Discover it® Miles is still an excellent no-annual-fee option with its unlimited earning potential of 1.5 miles per $1 for all purchases made. That’s still a respectable opportunity to consistently rack up rewards, even after your first year match period has passed. Depending on your spending habits, Discover it® Miles could be a great option for anyone looking to make a lot of big purchases in their first year, or who wants the freedom to redeem rewards with any airline; however, if you're loyal to the American Airlines brand or you predominantly just use your card for grocery and American Airlines travel purchases, you're likely better off sticking with the American Airlines AAdvantage MileUp℠ Card, which will earn you two miles all the time (for groceries and American Airlines purchases), and not just during your first year of card membership. If you don't mind paying an annual fee of $89 (waived first year), the Barclaycard Arrival Plus® World Elite Mastercard® could be a great option for anyone looking for a bit more freedom with how they travel and how they earn rewards. (See Rates and Fees) With the Barclaycard Arrival Plus® World Elite Mastercard®, users earn an unlimited two miles per $1 spent on all purchases, unlike the American Airlines AAdvantage MileUp℠ Card’s two miles for just grocery and American Airlines purchases. Additionally, new Barclaycard Arrival Plus® World Elite Mastercard® members have an opportunity to earn 70,000 bonus miles after spending $5,000 on purchases in the first 90 days of account membership – that's enough to redeem for a $700 travel statement credit toward a qualifying travel purchase. Furthermore, as a Barclaycard Arrival Plus® World Elite Mastercard® cardholder, you can also receive 5 percent of your miles back to use toward future redemptions each time you redeem. That means your welcome bonus could actually be worth up to $735 in travel. Just like with the Citi® / AAdvantage® Platinum Select® World Elite™ Mastercard®, it's clear that the Barclaycard Arrival Plus® World Elite Mastercard® will get you a few more benefits than the American Airlines AAdvantage MileUp℠ Card offers, as well as the opportunity to redeem with any airline; however, just like before, you'll need to realistically consider how you'll use your card and determine whether the annual fee is worth it. If you're only an occasional credit card user, you'll likely fare better with a no-annual-fee card like the American Airlines AAdvantage MileUp℠ Card. Who Should Get the American Airlines AAdvantage MileUp℠ Card? The American Airlines AAdvantage MileUp℠ Card is a great option for those loyal to the American Airlines brand who are looking for a no-annual-fee card that can help you easily earn rewards to use toward travel. This is especially great for those who most often use their credit card for grocery purchases.